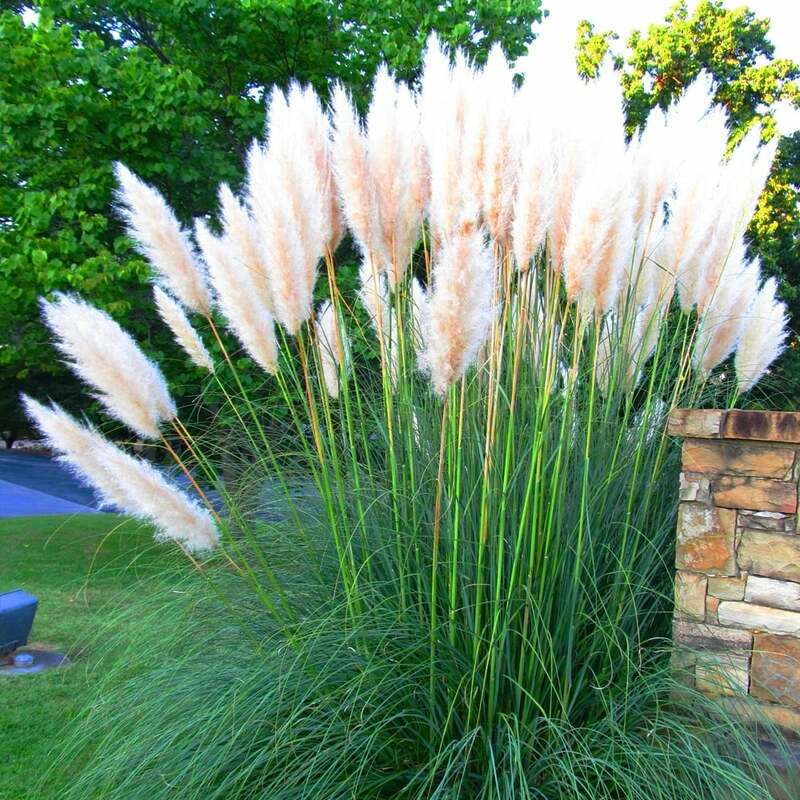 A great plant for autumn impact. One of the biggest grasses all the way from Australia. Very large and impressive plumes are produced in Autumn and last into Winter. Can be used as part of floral arrangements. The leaves of this graceful plant form a graceful arching effect that makes them ideal for use as specimen plant in a lawn border or container. Please note: Our young plants are cut back in late summer as the flower spikes on young plants are to difficult to transport.This plant can be used in a mixed planting or as a stand alone specimen in the garden or can easily be grown in a pot or other container in a greenhouse or large conservatory. If in a pot it can stay outside over winter but ensure the compost has grit added and is free draining.